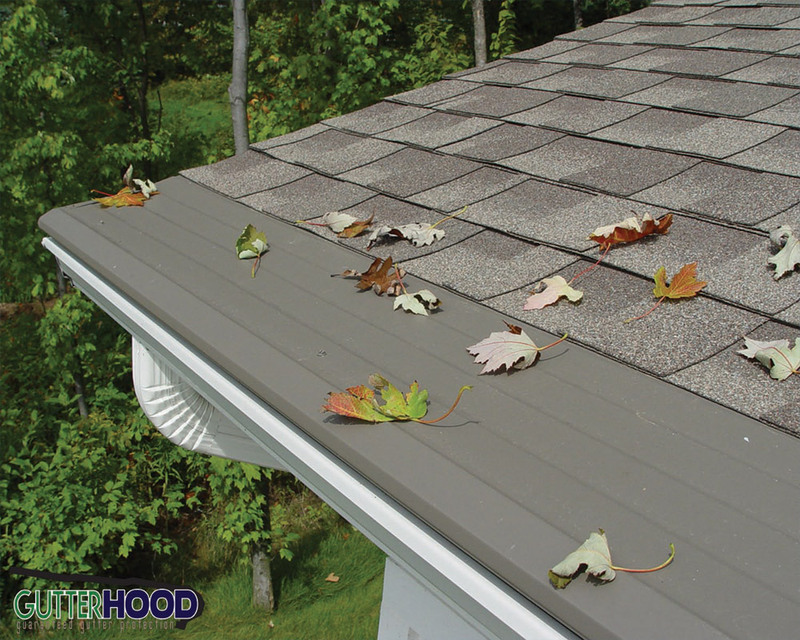 Don't waste time cleaning and repairing your gutters each year! 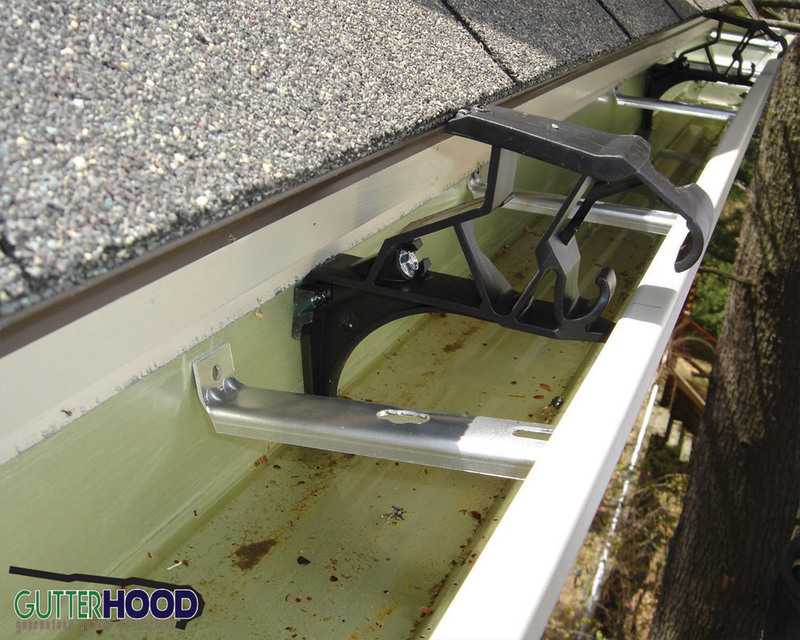 Gutter Hood is the leading system to keep your gutters free of leaves and debris. 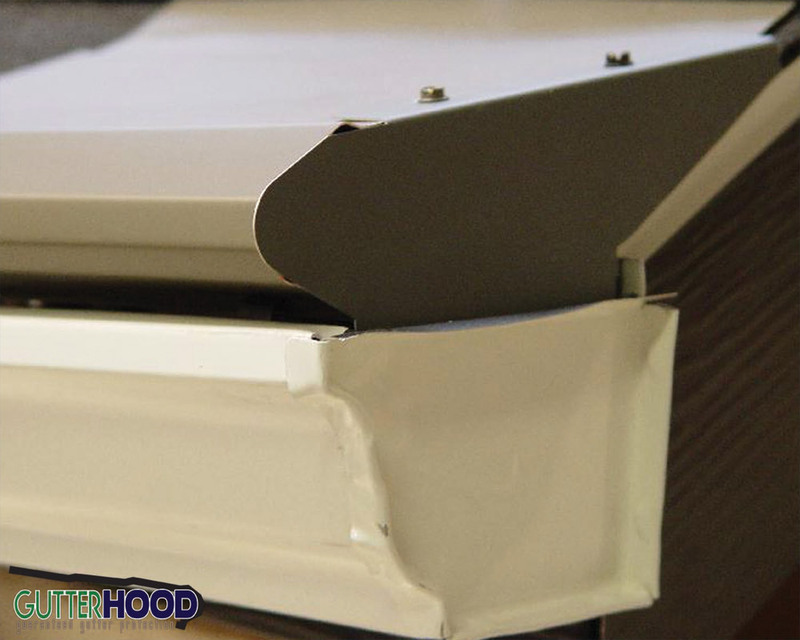 Gutter Hood Gutter Protection has been Installed on the eves of over a million homes across the country. 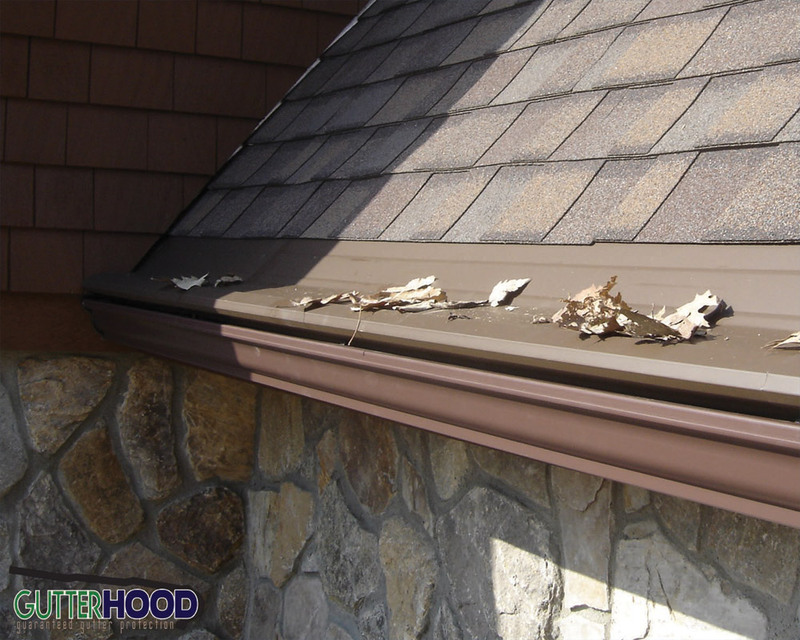 To prove that we are offering the Best Gutter Protection we include our Lifetime Warranty, adding value to your home. The flow-limiting ribbed design slows and spreads water, causing it to sheet instead of bead. 25 year proven nose-forward design channels rainwater in, while keeping leaves and other debris out. Traps over 22" of water. High performance alloy with tough-wearing Kynar 500 finish available in 9 designer colors. Our proven profile is on over a million homes across the country. Each install comes with a Free-Flowing and Product Lifetime Warranty. 20% thicker metal than the leading competition. Screws to your fascia, unlike other brands which usually nail to the top of your roof! Self supporting design distributes all weight directly to the bracket. Strengthens and reinforces your existing gutters. Please note: the colors pictured are electronically reproduced and may vary from the colors on the actual product. Gutter Hood has a Kynar 500 paint finish. There is a reason why Architects around the world specify Kynar 500® PVDF resin-based coatings to protect aluminum, galvanized steel and aluminized steel. No other coating system withstands the rigors of nature and time like those based on Kynar 500 resins. This high-performance fluoropolymer resin, with its extraordinary capability to retain color and gloss, keeps painted metal looking vibrant and appealing. Collins & Co. installs insulation, seamless gutters, Gutter Hood gutter protection, gas fireplaces, closet shelving and garage doors for builders and homeowners in Connecticut and Massachusetts. Contact us today regarding your home renovation, improvement or construction project.